But wait, I was there. Or at least I sat next to Jeff on the plane and shared the same hotel room. After all, it was my business trip and I had asked Jeff to come along. What I remember, though, is a hotel in a very marginal neighborhood with tiny rooms and a church I never saw. I do remember that when Jeff told me about it one evening and I wanted to go the next day, he said: “I’m not going back there just so you can see it.” I also remember a week with only the most minimal of conversation between the two of us. I was working a conference during the day and had to deal with a seriously disgruntled hubby in the evening. I was simply glad when it was all over. How did this disaster of a trip turn into the dream vacation Jeff was talking about? I know that eyewitness accounts are notoriously unreliable, but can a week-long, apparently shared experience change so much that I don’t even recognize it anymore? When I asked, from the safe distance of several months later, Jeff mentioned something along the line of: “I just don’t hold on to the bad stuff.” To me that sounded eerily like something my mother would have said. She was the only one in my life who somehow made Alzheimer’s work for her. “There is so much in my life I’m glad I don’t remember anymore,” I can still hear her say. But since Jeff has no trouble remembering which minor celebrity is the son or daughter of which former movie star and beats me hands down in describing LA intersections in minute detail, I cannot chalk it up to early memory failure. Even more so that he assures me that to the best of his abilities he honestly doesn’t remember the arguments between us that ruined the trip for me. That leaves only one explanation. We truly were not on the same journey to begin with and that’s why our memories don’t line up. Now, I do not dispute that we were indeed booked on airline seats next to each other, did stay in the same hotel room, and had dinner together every night. In the factual, outside world we were on the same trip. However, our inner experiences, how we took in all that happened, could not have been more different. For me it was business trip like so many others. 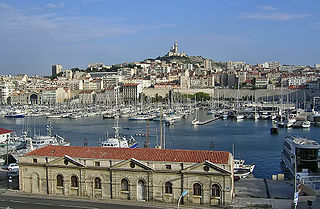 Yes, I had never been to Marseilles, but I spent my days among an English speaking conference crowd with many colleagues I knew well. In the evening, I wanted to connect with Jeff, tell him about my day, hear about his adventures and make plans for the next day. Jeff had never been to France. On previous trips we were mostly side by side and he could always rely on me should something go wrong. This time he was on his own all day. He was busy figuring out a new city with high school French and talking to strangers, which is taxing for him under the best of circumstances. In the evenings, he was exhausted and wanted to curl up in his own bubble to recharge. When I wanted to connect at night, his batteries were simply empty and he barely noticed that I was sulking in my corner, feeling hurt and abandoned. Today, we are better at all that. I know to leave space for him to recharge and he knows that I want to connect and talk after a long day apart. When things go off the tracks now, we are more likely to pull it back together after a few hours instead of hiding in our own corners for a week. Things are good. And still there are these times when I wish I had been on that trip to Marseilles that Jeff talks about. It sounds like a great vacation. I like how you describe the way you both got around the feeling that your needs were not being tended to, in order to better tend to the other’s needs. In the process, you seem to have gotten what you originally wanted. Why do couples have so much trouble doing this, staying instead in resentment and hurt? They could learn a thing or two from you guys! Thanks Tony. I definitely took some work to get there. I also don’t think that we are “there.” I do believe it is a process that the two of us will probably have to continue to work. It definitely does getter easier though.